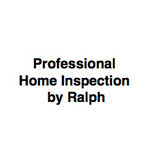 Professional Handy man in East Norwich, NY area. Taskhandy we offer Top-quality handyman services and with taskhandy easy pre price booking your task is just a click away"
Why Jericho NYC Locksmith? Only Reliable, Experienced & Professional Technicians. 100% Satisfaction Guarantee. 90 Days Warranty - for Parts & Labor. Mobile & Local Locksmith Services that Arrives straight to you. Fast Response Time. Bonded, Licensed & Insured locksmith company. All in one locksmith services - Automotive, Residinal, Commercial & Emergency. 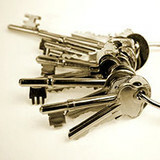 Special Rates - 15% OFF On any type of locksmith services! Limited to November 2016. 24/7 Solutions for any kind of locksmith services. Best Rates in the area - We will beat any price. 24 Hour Locksmith Services in New Cassel, NY - (516) 246-2357 If you are looking for a Locksmith company in New Cassel, NY, you've arrived at the right spot. We, in New Cassel Locksmith, are working with the most experienced, efficient and fair techs which will provide you the optimal solution you may get. Our goal is the client's satisfaction, and we'll ensure you will feel secure along with our work. We're also making use of products of the very best quality out of the top manufacturers and providers, so our job will be as good as it can get. Our professionals in New Cassel Locksmith have very good quality toolkit in order to produce the work they do as professional as they possibly can, without having waiting times associated with their supplies. We think a great technician is not only one that realized and attained knowledge in the locksmith sector, but one that would be able to solve any problem, and to recommend innovative methods to any problem, since he owns the equipment to deal with it quickly. That's why we're equipping our specialists with comfortable, high quality tools and techniques. You have to choose New Cassel NYC Locksmith beacuse: Labor & Parts - 90 Days Warranty. Special Rates - 15% OFF On any locksmith support! November 2016 ONLY!. 24 Hour Solutions for all kind of locksmiths services. Licensed, Bonded & Insured locksmith company. Lowest Rates in the area - We will beat any price. Mobile Locksmith Services that Arrives straight to your place. 15 Min ETA in most cases. All in one locksmith company - Residinal, Emergency, Commercial & Automotive. Only Reliable, Professional & Experienced Technicians. 100% Satisfaction Guarantee. You have to choose Mineola NYC Locksmith beacuse: 24 Hour Solutions for any kind of locksmith services. Any kind of locksmith services - Residinal, Automotive, Commercial & Emergency. 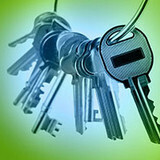 Special Deals - 15% OFF On any locksmith services! Limited to November 2016. Licensed, Bonded & Insured locksmith company. Only Reliable, Professional & Experienced Technicians. 90 Days Warranty - for Parts & Labor. 100% Satisfaction. Mobile & Local Locksmith Services that Arrives straight to your place. Best Prices around the city - We will beat any rate. Low than 15 Min Estimate Time in most cases. Our company has been providing furniture assembly & installation in New Jersey and the surrounding states for over 20 years! Comprised of manufacturer certified technicians, you can count on our knowledge and experience to retrofit your space the way you need it. We will consult with you about your needs and execute any project per your plan specifications. With our project management system, we make communication available at all phases. Unlike other providers, we take pride in working closely with our clientele providing fast customer friendly service to ensure all aspects are covered. YOU SHOULD CHOOSE GARDEN CITY NYC LOCKSMITH BEACUSE: Reliable, Professional & Experienced Technicians. Ninety Days Warranty - for Parts and Labor. 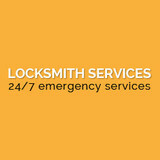 24 Hr Solutions for all kind of locksmiths services. Special Prices - 15% OFF On all locksmith support! November 2016 ONLY!. All kind of locksmith solutions - Commercial, Residinal, Automotive & Emergency. Lowest Prices around the city - We will beat any price. Quick Response Time. 100% Satisfaction. Local & Mobile Locksmith Company that Arrives straight to your place. Bonded, Insured & Licensed locksmith company. I have been very handy all my life and decided to start my company to fulfill my dream and assist others in theirs dreams and their lists of "to dos". In 2007, I general contracted my home, in which it was dormered upward and gutted completely. I worked on my home and subcontracted some of the work to have it completed as soon as possible. In 2013, I left the corporate world, started working with my younger sibling in his plumbing operation. Working for him, his customer asked for small repairs to be done, which my sibling did not have any time for,...but I did. And after a few months of taking these small repairs, I realized the need for handymen, hence Jad Home Services was born. We have over 15 Years Of Carpentry/Home Re-Modeling Experience, so we've seen it all. From small projects to big ones, we've got all your needs covered. We can help you out with just a simple stucco or drywall repair up to the most complex framing or complete room renovations (From A-Z / WE DO IT ALL)! Our carpenters are also more than happy to answer any of your questions along the way. Check out our entire great locksmith services to see what locksmith can do for you. We focus on every aspect of locksmith service. We have an expert team for your lockouts. The address displayed is a dispatch point address. We are Master Craftsmen who take great pride and care in our work. True Professionals who don't leave until the job is done right.